This was our final project for CIS 460, Computer Graphics. 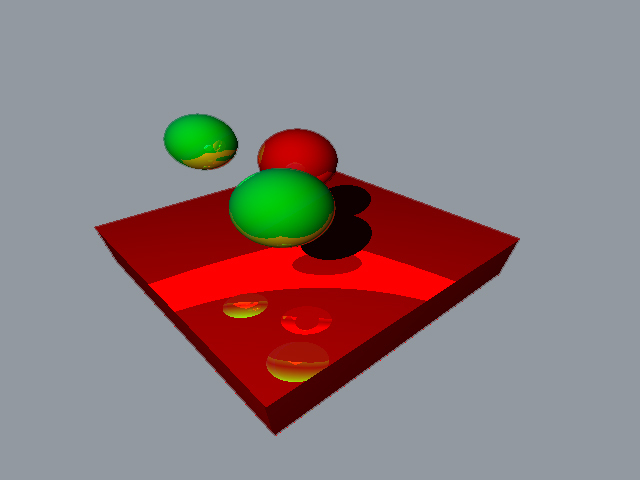 It’s a raytracter that supports Lambertian and Blinn-Phong shading, reflections, multiple lights, transparency and refractions. 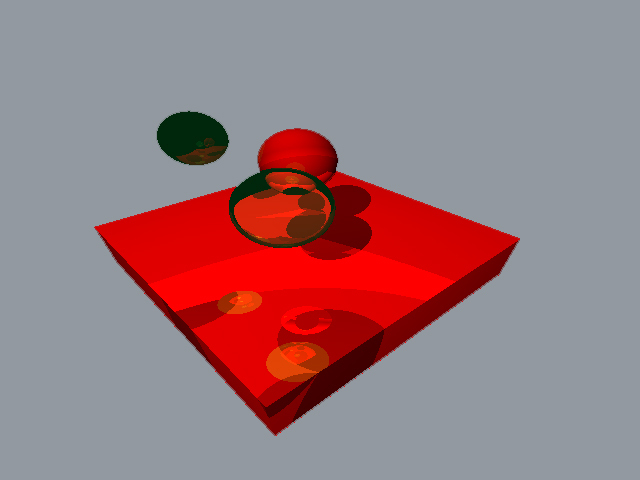 It also supports custom meshes as well as primitive shapes like spheres and cubes. I’m actually still trying to fix a few things with it, like the weird light patch on the ground plane. 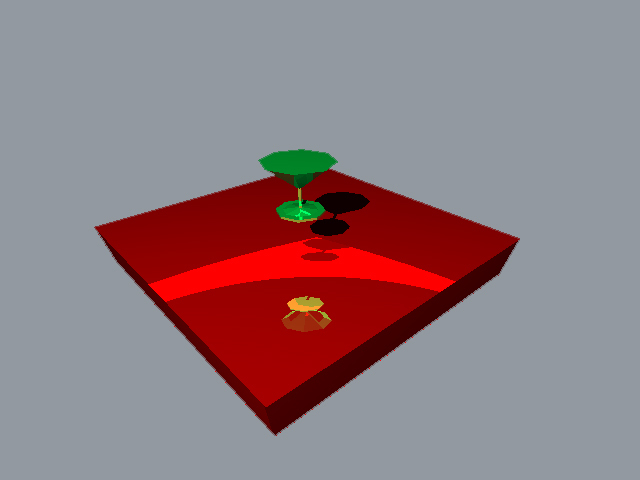 I also want to try rendering a more interesting looking scene.